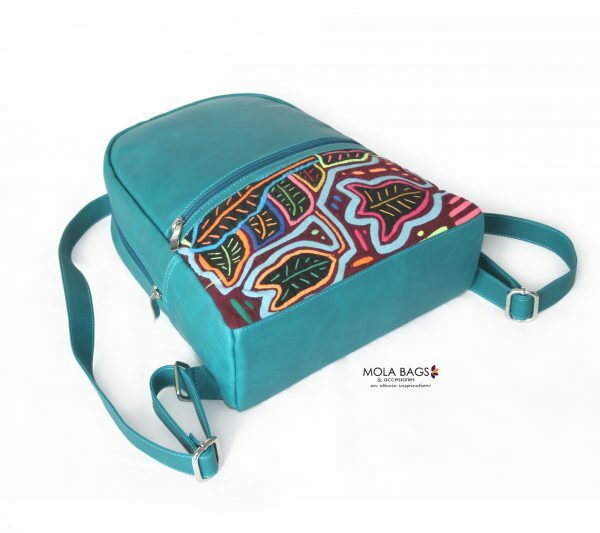 Discover the beautiful and minimalistic design of our new leather backpacks! 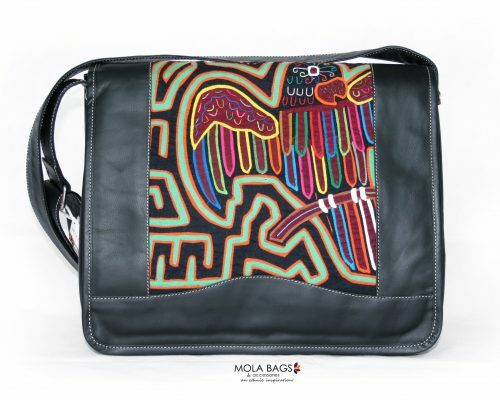 This unique bag is carefully handmade by our artisan family in Colombia and showcases the Mola textiles from the Gunadule indigenous community on the front side. There is only ONE exemplar for each bag! An ethnic inspiration! 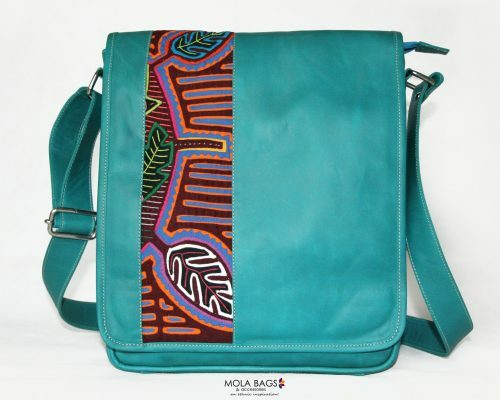 Urban and minimalistic timeless design showcasing the unique handsewn Mola textiles. 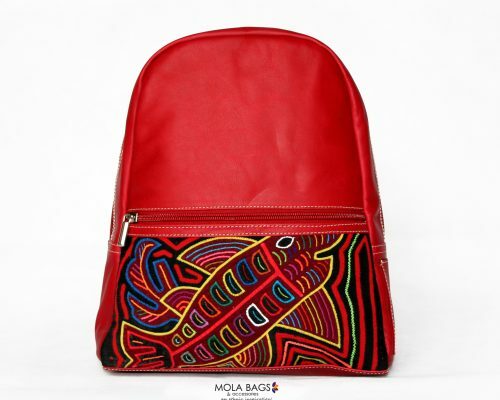 Practical backpack perfect for everything you need on a daily basis. The main compartment is available through a zipper offering enough space. 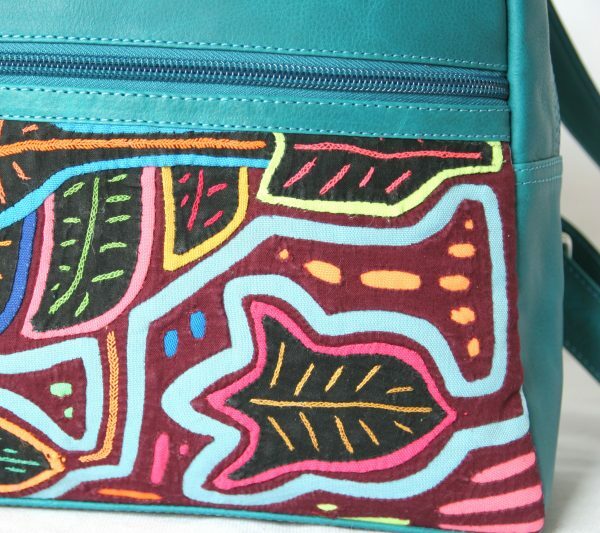 With extra zipped pockets perfect for your small items. Practical handle to grab it while on the go! 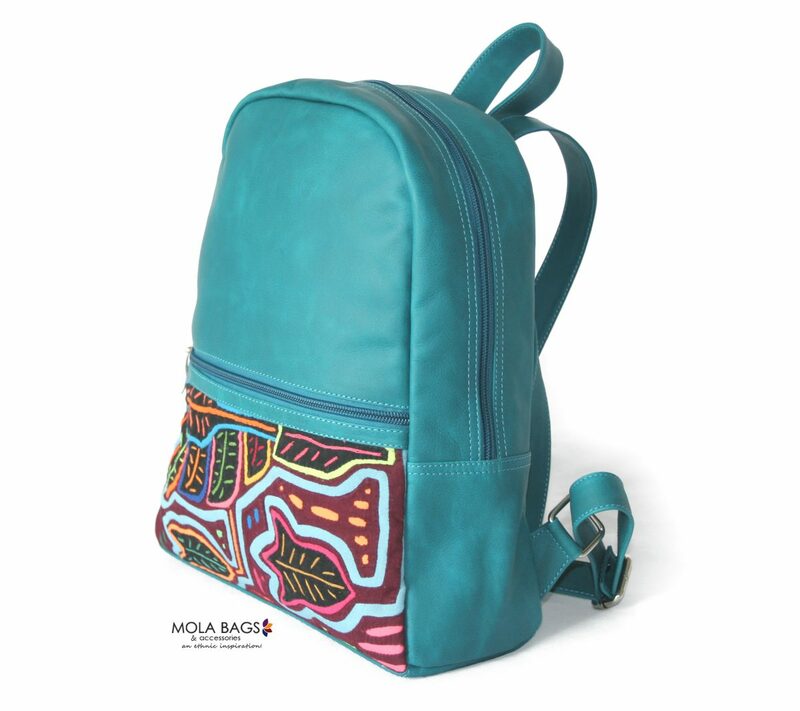 This backpack is perfect for an active urban life. 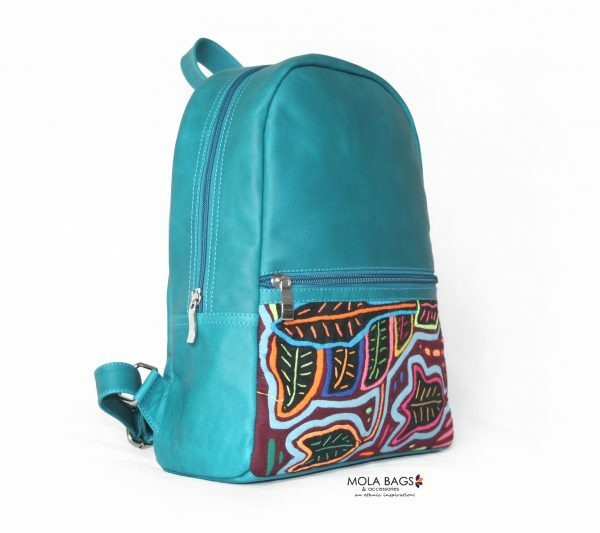 From personal and professional items to even some small grocery goods, this backpack has space for them all! 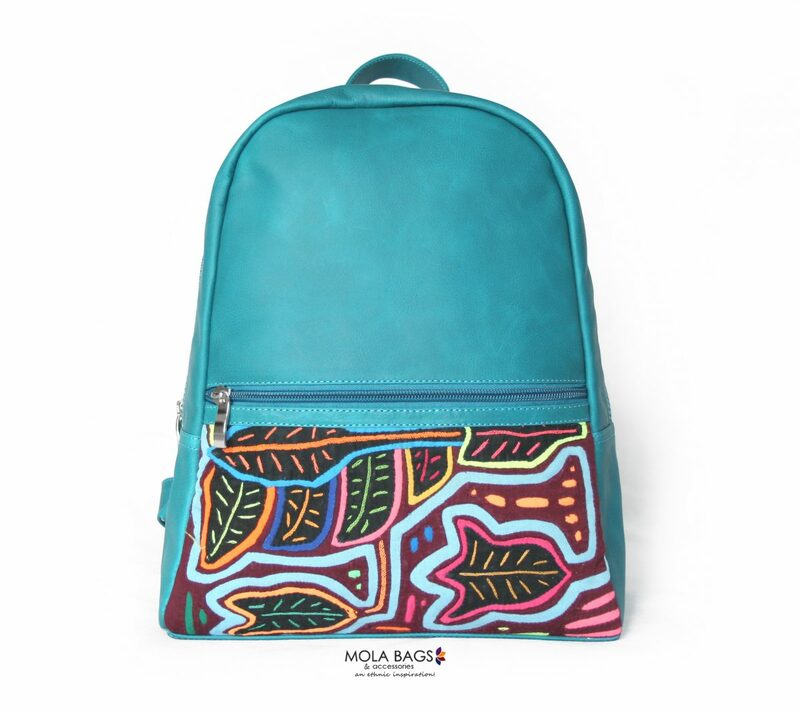 Designed by Mola Bags&Accessories and carefully handmade by our artisan family in Bogotá with ethically sourced Mola textile from the indigenous community.